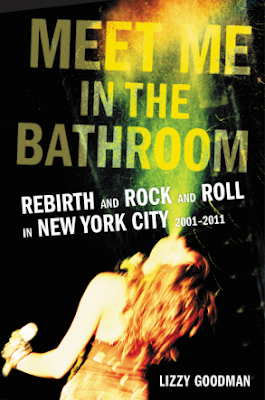 If you're visiting this blog after May 2017, it's probably because of Lizzy Goodman's incredible oral history about the New York City music scene from 2001-2011 called Meet Me In The Bathroom. If you want to get a quasi-real-time experience of that time please start from day one. If you've found yourself on this blog for whatever other reason that may exist, please check out Lizzy's book. I wrote a feature about her and the 600+ page book for the New York Observer. Visit me on Facebook (personal / "profesh"). I'm personally a big fan of Ultragrrrl blog. Thanks for sharing this post. Baking Classes in Velachery will help you out to make the best muffin at your home which will be fluffy ,delicious with berries , chocolate and nuts. Experts will let you know the best ways of making these muffins.